Super easy and inexpensive homemade laundry detergent. Make all natural DIY laundry detergent that is super effective and gets your clothes clean. Making your own handmade laundry detergent powder saves money and you know exactly what you are washing your clothes with (all natural products). This is the best homemade laundry detergent recipe and your clothes will smell amazing. Follow the simple step by step instructions to learn how to make homemade laundry soap today! at this point it will fizz, that is the vinegar reacting with the baking soda. 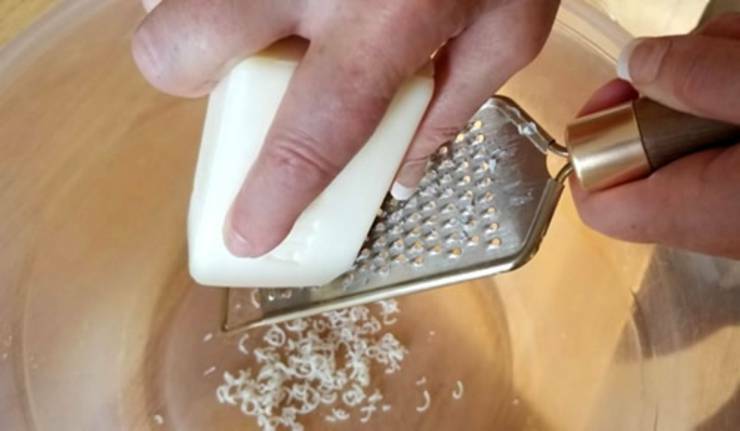 Grate one bar of soap into a large bowl with a cheese grater. Add 1 tablespoon of vinegar – at this point it will fizz, that is the vinegar reacting with the baking soda. Mix everything together really well. The vinegar helps soften the clothes. If the mixture isn’t too wet, you can add more than 1 tablespoon, but I wouldn’t advise adding more than 2 tablespoons. Use 1/4 cup per load. 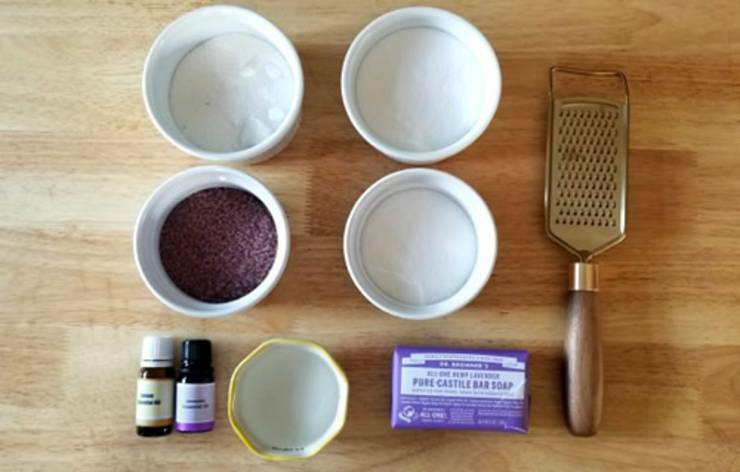 Ready to make your own DIY laundry soap? It’s easy, simple and cost effective plus you will avoid the toxic chemicals as you will be making this non toxic laundry detergent. Save money and make this laundry powder for pennies.This is an excellent homemade laundry detergent without borax and clothes will look great and smell amazing. If you need more laundry detergent or laundry soap DIYs you can check out some Youtube video tutorials or Pinterest. 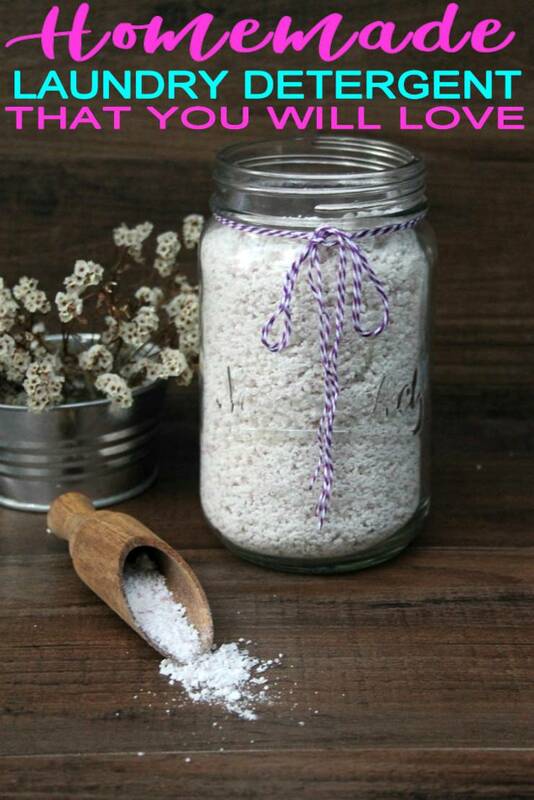 There you can find: homemade laundry detergent for sensitive skin, with castile soap, stain removers, fabric softener, easy DIY laundry products, 3 ingredient, laundry detergent tabs and more. 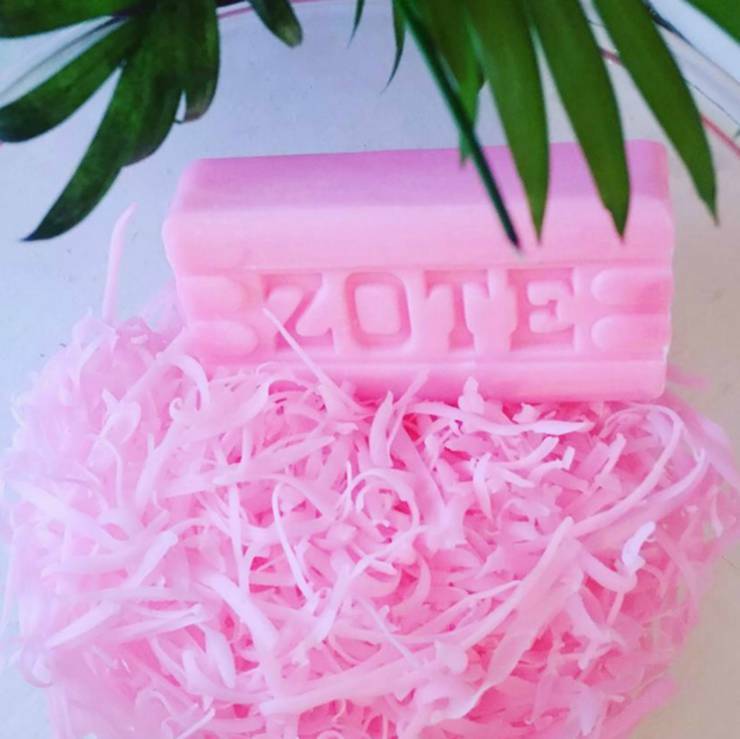 I hope you enjoyed this handmade laundry soap recipe and you get a chance to make it! Until next time have a great day! I’m super excited to try this recipe! This post will make it super simple! Thank you! How many loads do you get out of this?